The chicks that were just hatched in the incubator should be moved into the Brooder that provides them with the optimal conditions for growing properly. Fully Digital – the electronic temperature controller with its clear digital display enables maximum accuracy and easy control of the brooder’s temperature. Fan Assisted Heating Element – the heating element, with fairly low temperate, is being set on a metal heat sink and heats the brooder. The heat that generated from the heating element is spread evenly throughout the brooder by a controlled computer-type fan. The temperature can be set on to the accuracy of 0.1 Degrees Celsius. 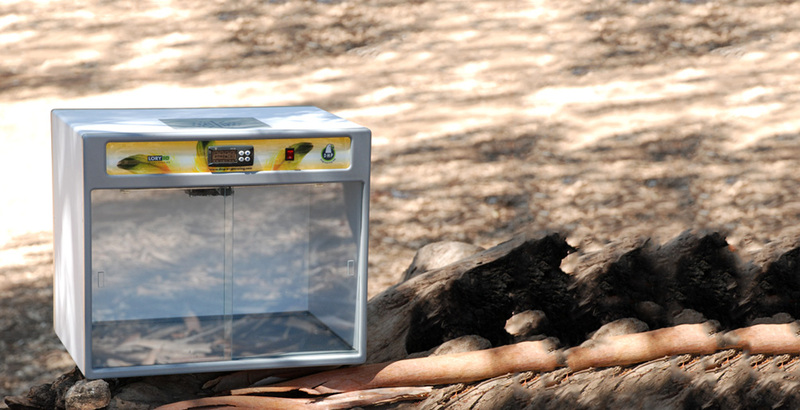 Maximum Visibility – the sliding transparent glass doors allow visual inspection and monitoring of the chicks and can be lifted out for cleaning. Useful Tray – the useful tray covers the brooder’s floor and allows the breeder quick and complete cleaning process. Easy Disessembely – the complete heating element can be easily & quicly removed for maintenance actions. Mobility – the brooder’s light-weight makes it possible to use the Lory 10 as a portable appliance by connecting a 12 Volt DC converter to the car’s cigarette lighter.